Our newest planned community of individual homes for the mature homeowner. Choose your lot and the floor plan best suited to your family's needs and then enjoy selecting finishes and color choices that allow you to put your personal touch on your new home. All choices can be conveniently made at the S.A. Lewis office. 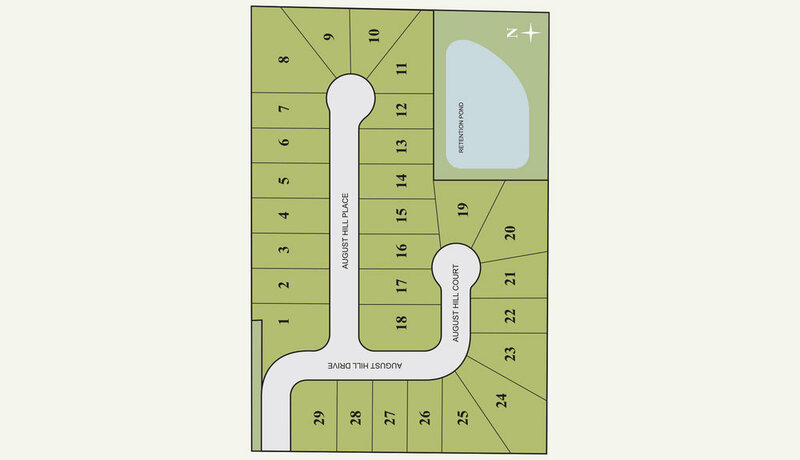 See map above for available lots. interested in a lot or home? Let us know! Please include: Neighborhood and lot or home of interest, if applicable.